As mentioned several times in the past, Germany is running the European Union and Europe once again. This time around the conquest is via subjugation of national sovereignty and economic warfare. They have their key politicians in key positions across the European board. The European Commission, European Central Bank and International Monetary fund (the Troika) are all but one example. Regardless of how everything on the EU landscape currently looks, further federalization/integration is the only solution they keep proposing to their problems, and this is ultimately leading to a United States of Europe with its own European Army, which is already beginning to supplant NATO. The Fourth Reich has landed and if you’re looking for Nazis, you’re 70 years too late. BERLIN/BRUSSELS (Own report) – The EU finance ministers’ decision to appoint the Spaniard Luis de Guindos to be vice president of the European Central Bank (ECB), will boost the chances of German Bundesbank President Jens Weidmann to become its next president. Berlin has welcomed the decision for Spain’s current Minister of the Economy Guindos, considered to be one of the fathers of the Spanish real estate bubble. Subsequent to his designation as vice-president, a northern European is expected to be given the post of ECB president, due to the EU’s proportional regional representation. According to observers, a conceivable deal may be reached with Germany’s Weidmann at the helm of the ECB and the post of EU Commission President going to France. The current German Bundesbank president is unpopular in Southern Europe because he has been systematically trying to prevent current ECB President Mario Draghi’s bond buying programs, considered to be vital for the crisis stricken countries. With Weidmann as ECB president, Germany would further tighten its grip on the euro zone’s financial institutions. 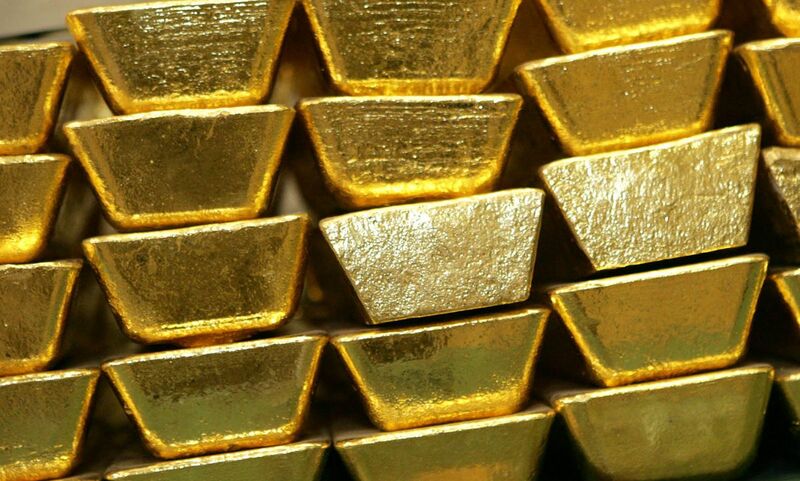 Berlin (AP) — Germany’s central bank says it’s completed a plan to repatriate gold reserves it stashed abroad during the Cold War three years ahead of schedule. … and it’s ahead of schedule. European Central Bank gold reserves held across 5 locations. ECB will not disclose Gold Bar List. The European Central Bank (ECB), creator of the Euro, currently claims to hold 504.8 tonnes of gold reserves. These gold holdings are reflected on the ECB balance sheet and arose from transfers made to the ECB by Euro member national central banks, mainly in January 1999 at the birth of the Euro. As of the end of December 2015, these ECB gold reserves were valued on the ECB balance sheet at market prices and amounted to €15.79 billion. The ECB very recently confirmed to BullionStar that its gold reserves are stored across 5 international locations. However, the ECB also confirmed that it does not physically audit its gold, nor will it divulge a bar list / weight list of these gold bar holdings. In fact, this particular vault contains almost 25% of the world’s gold reserves. Quick reminder: “Bail-out” means the government bails the banks out, whereas “bail-in” means the citizens pick up the tab. Germany’s Fourth Reich is once again forcing its will upon the EU. A new German plan to impose “haircuts” on holders of eurozone sovereign debt risks igniting an unstoppable European bond crisis and could force Italy and Spain to restore their own currencies, a top adviser to the German government has warned. “It is the fastest way to break up the eurozone,” said Professor Peter Bofinger, one of the five “Wise Men” on the German Council of Economic Advisers. Deutsche Bundesbank has just released a progress report on its gold bar repatriation programme for 2015 – “Frankfurt becomes Bundesbank’s largest gold storage location“.